GeoEnergetika d.o.o. is a Slovenian supplier of LED luminaires. The company specialises in the implementation of smart, high-tech LED solutions. The Geolux Plain combines advanced technological solutions with a sophisticated, minimalist design and can be personalized to any colour required. This attention to detail, including an ultra-slim aluminium housing for optimized heat conductivity, has not gone unnoticed by the design industry. The Geolux plain was both a 2018 Red Dot Design and 2019 German Design Award winner. Designed for modern urban environments, the Geolux Plain is part of the revolutionary Geolux Plain 1 series from GeoEnergetika d.o.o., an LED solutions company from the city of Murska Sobota in northeastern Slovenia. 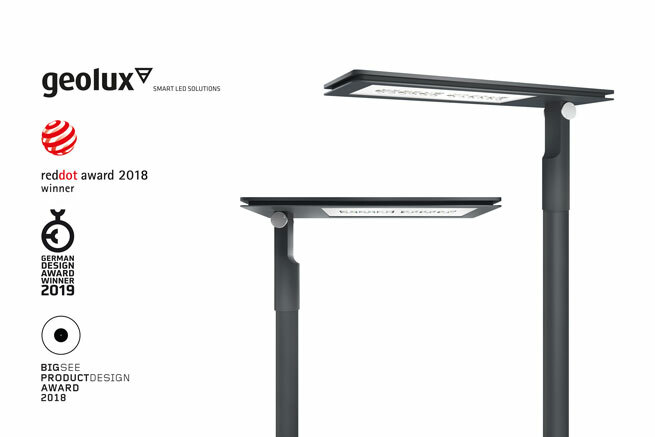 Taking an integrated design approach and using the Geolux 3i development system the Geolux Plain provides one of the most cost effective lighting solutions on the market. Using only high-quality components and materials also means GeoEnergetika can provide customers with a comprehensive 5-year warranty. 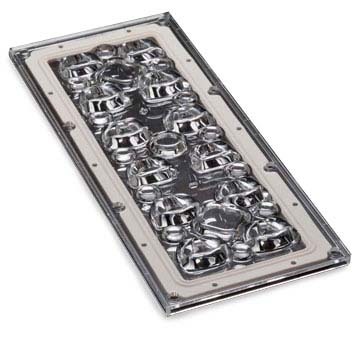 GeoEnergetika chose LEDiL STRADA-IP-2X6-DWC optics for their luminaire as they felt that STRADA-IP-2X6, with its IP67 ingress protection and ease of mounting offered the most versatile modular optics for street lighting. The Plain product line uses one unique design concept to illuminate urban environments. A combination of photometry and the ability to create a variety of light beams means projects can be designed with more precision than ever. Versatile and customizable the Geolux Plain is a unique solution for projects with even the most demanding lighting requirements.